Do you want to dance like the Greeks? Get ready to let your hair down on this celebratory crash course of Greek culture; dance, drink and eat the night away. Join us for an unforgettable evening full of Greek music, dance and real fun! Get the chance to learn how to dance popular Greek folk dances and celebrate life the way the Greeks do: by eating, drinking, laughing and dancing your evening away! While hosting some friends in Athens we decided to try something new but traditional. The activity took place in beautiful building in Plaka, which is an actual Greek Dance Theater. It was so much fun!!! After the lesson we've been taken for a dinner, delicious. Everything was just great, I can highly recommend Greeking me for anyone who wants to discover Athens in a different way. We were 6 friends visiting Athens and one of the highlights was the dancing lessons provided by greeking.me. Ana was a wonderful guide and I can only recommend both dance and dinner, the latter with a magnificent view of the Acropolis. We had so much fun and got a workout in! The dances were pretty easy to learn and the steps are repetitive so it's easy to catch on. Anna and Nick joined us in the lessons. Our dance lessons were followed by a traditional Greek dinner with Anna and Nick. I didn't know until we got to the restaurant that they were having dinner with us. If we ever go back to Greece, we are definitely booking a tour with them again. I enjoyed the folk dance lesson and dinner very much! The teachers were very encouraging. This activity would be apropriate for most any age and is family friendly. The Greeking.me group stands out because the owners are so personal and will go the extra mile to make you feel welcome. My wife and I planned a trip to Greece for our honeymoon and this dance tour was the best. We learned traditional dance moves and their respective history that was really interesting. Afterwards, we headed up to a local restaurant that had a great view and a live band while we ate traditional Greek food. I wish we knew of Greeking.me prior, as I would have booked every tour from them during our stay in Greece! Thank you for a memorable evening. The dance lesson was great, dinner sumptuous and conversation, an unanticipated pleasure. This was easily the best thing we did in our vacations in Greece. We had an interesting walk, folk dance lessons, a wonderful meal, and great conversation. Our lessons were given by Dora Stratou, a Greek Dance Theater instructor in their Dance studio. The dance lesson lasted about 1 hour, and with only two of us, we worked up a a sweat. This would be a perfect event for families. We were 10 people, and we learned how to dance the Greek way!So fun, and the teacher was great.The guide was awesome, she met us at Acropolis Metro station, and walked us to the place we danced. I could describe her as a walking «history book».Definitely reccomend it!! The Zorba in Me experience was JUST what I had hoped for! Great dancing instructions that taught me regional variations and new dances. A walking tour near the Acropolis took us to back streets I didn't know existed and the perfect view of Athens...what a bonus. And dinner with our new dancing friends was amazing! Classic Greek dishes made to perfection (as a Greek American...I wouldn't say it if the restaurant wasn't perfect)! One of our highlights in Athens! My vote: Book this tour. I hope you get Eleni. You will not regret a second of it. This goes down as one of our most favourite memories of Athens. Do it like “Zorbas the Greek” in the famous film and follow us to a memorable evening full of music and food. Get in the mood and warm up your legs with a short walk through the scenic Areopagitou Street until you reach the beautiful theatre, where your Greek folk dance class will take place. In this 1.5-hour dance lesson, our fun and professional dance teacher will take you on a journey across the culture and history behind the Greek folk dances. Join the dancing circle, hold each other’s hands, and follow the steps of the most popular Greek folk dances, such as 'kalamatianos' and 'sirtos'. Having danced your legs off, your dancing adventure will lead you to a traditional place where you will have fun the way Greeks do. With an amazing view of the illuminated Acropolis, you will get the chance to experience an original Greek feast -or 'glendi' in Greek: delicious dinner, punchy wine and music, along with the great company of warmhearted locals, will fill up your evening with lots of laughter and cheerful conversations. Are you ready to have fun like the Greeks do? A 1.5-hour dancing lesson with an excellent teacher in the most traditional Greek dance theatre. A delicious hearty dinner in a traditional restaurant with live Greek music. 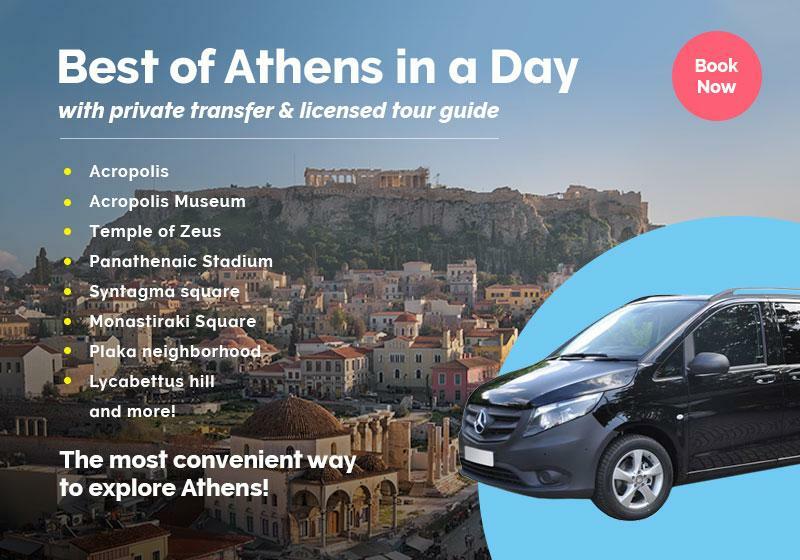 Tour can be extended with a 1-hour walking tour in Plaka neighborhood at no additional cost. Our tour begins at 6.00 p.m. (from June to October) & at 4.30 p.m (from November to May) & we would like to start on time as to avoid delays & exploit our time in the best way. We suggest you be there 10 minutes earlier, so you can get to know your instructor & the rest of the group. In case you can’t make it on time, please give us a call & inform us about the delay. Prepare yourself for an enthralling experience. The only things you will need is lots of energy & a big smile. Needless to say that wearing comfortable clothes & shoes is an absolute must! This is only available for private groups. The meeting point is at the Entrance of Acropolis Metro Station. Your guide will be holding a sign with your name. Not at all! We will have fun while learning how to dance the most popular Greek dances. All of them are easy to follow & you don’t have to be fit to participate, just eager to learn! Yes! Our little friends will enjoy themselves dancing in the rhythm of the music. Just keep in mind that afterwards we will dine in a traditional place, so make sure they won’t feel sleepy or tired! *Please note that alcohol consumption is strictly forbidden for persons below 18 years of age. No. The costs include a 1.5-hour dancing lesson of popular Greek dances as well as a hearty dinner in a traditional place. One or two glasses of wine or any other beverage also included in the price. Fortunately the weather in Greece is mild and warm during the most time of the year. In case of rain, though, you will be timely notified about any changes in your scheduled walk. The "Zorba inside me: Greek Dance Lesson & Dinner" is available as a private tour, in order to further customize your experience to fulfill your specific needs & expectations. Simply tell us your preferences in the booking form below.